Home » General Health » How to Eat Healthy on Vacation: It’s Not as Hard as You Think! How to Eat Healthy on Vacation: It’s Not as Hard as You Think! 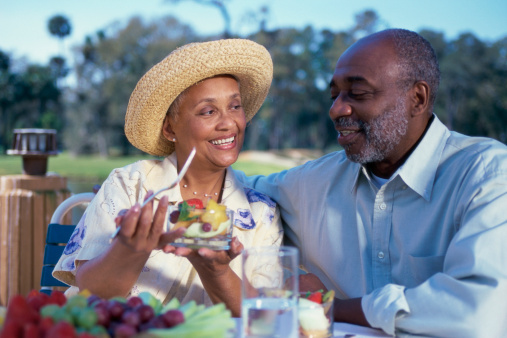 Do you “forget” to eat healthy while on vacation? Summertime is the perfect opportunity for people across the country to get out and explore their surrounding areas and indulge in long, leisurely trips or short weekend getaways, but this can sometimes lead to health issues, believe it or not. Nobody wants to miss out on tasty summertime meals while on vacation, but it doesn’t mean you can’t eat healthy and sensibly. Whether you’re at a fast-food restaurant in an airport, a strip mall alongside a freeway, or dining in a big-city bistro, you can keep your diet on track this summer! Let’s face it; most restaurants in America are not very healthy. Portion sizes are often way too big and many of the meals are packed with processed foods—especially in fast-food chains and in restaurants outside major cities, where selection is often limited. But that doesn’t mean options don’t exist. If you’re on the road in DC, Maryland, Massachusetts, New York, California, Pennsylvania or Virginia, and see a “sweetgreen” restaurant, eat there—sweetgreen restaurants specialize in organic, delicious fast food. “Chop’t” is another healthy restaurant chain offering premium salads—you can find locations in DC and New York. If you can’t find a healthy restaurant chain, then be smart when choosing food from traditional restaurants to keep your calories in check. Splitting entrees with someone else is a great way to stay full on fewer calories. You can also order a take-out tray with your meal and immediately pack away half of it for later. And because appetizers are essentially the same size as a meal used to be, ordering one of them (or two if they’re small) as your meal can fill you up while keeping calories down. Just make sure you avoid the deep-fried options whenever you have the choice. If you find yourself in a situation where you absolutely have to eat a traditional fast-food meal, you still have options. First: stay away from the big salads. These are usually laden in creamy, calorie-dense dressings; so despite their appearance they are not good for you. Instead order a hamburger—a smaller one—and a side salad with a vinaigrette dressing. You can even elect to forgo the hamburger bun; or at least only eat half of it, to save yourself from consuming added sugars and empty calories. Finally, leave the soda in the fountain and opt for water. Having some mineral water with lime is a nice healthy alternative. There are also ways to make healthful choices for those lazy nights when you don’t want to leave the hotel. For example, if you’re in the mood for pizza, then order a healthier pizza. Get a thin crust (whole grain if possible) and fill it up with veggies and a lean meat (i.e. chicken breast). Stick to two to three slices and you’ll be fine. The calories add up on pizza when you start eating four or more slices, or load it up with extra cheese, doughy crusts and greasy meats like pepperoni, sausage, and bacon. Typically, vacation-time means letting loose. Plus, it’s easy to justify over-indulging because you’re spending more time walking around. But calories add up really fast…especially at restaurants. Be smart and don’t sabotage your weight this summer!